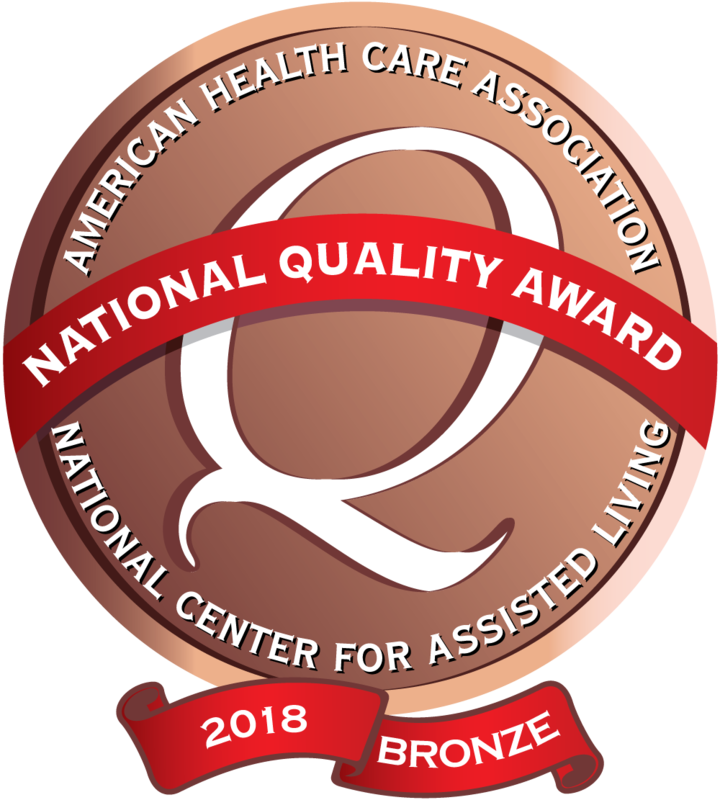 *Dubuque Specialty Care has been recognized by the American Health Care Association with 2018 Bronze Award. Dubuque Specialty Care is like home. You can connect with many people. The staff at Dubuque Specialty Care treat me very well. They aim to please and the staff have big hearts. I have progressed 100% in every aspect. They offer a variety of menu options and change up the menus as well. I enjoy having pizza day and going on outings to the casino. I have made new friends and learned new things. I chose Dubuque Specialty Care because it was close to my house and I knew another person who lived there. They were happy with the care they were given. The staff here treat me excellent. I was so sick when I came, my medications had me so confused that I couldn’t walk. I was falling down all the time. Today, I enjoy going to bingo, music, manicures and meeting with the residents. I enjoy the food here, especially the roast beef with onions and cheese, the desserts, fresh fruit and the coffee. The atmosphere energizes me.